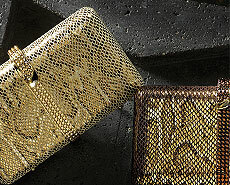 Fashion-forward chain fringe adds a sense of movement to this chic silk minaudiere. A beautiful evening bag for special occasions such as weddings, galas and cocktail parties, this fringed mini clutch makes a great party bag. 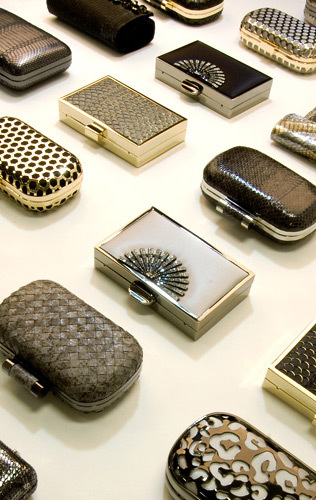 Wear it from its short chain or slip the chain inside to carry it as a stylish silk clutch.